We provide sensitive, sympathetic support and assistance to the individual needs of bereaved relatives and carers to help them through the procedures following the death of a patient at the hospital. Our service includes working with medical and nursing colleagues to ensure the prompt completion of all the necessary paperwork after a death as well as explaining to the bereaved how to register a death, how to find a Funeral Director or arrange a funeral without a Funeral Director. We work very closely with the Coroner's Service, the Plymouth Registration Service and local Funeral Directors to ensure the bereaved have access to all the information and services they require. Families are seen on an appointment basis; although we will always try and respond to urgent requests for assistance. Our publication ‘Help for Bereaved Relatives’ is available to relatives and provides useful and helpful information, at what is often a difficult and distressing time. Bereavement support is available from the time of death up until the next of kin decide they no longer require that support. We can be contacted between 9.15 am and 4.30 pm Monday to Friday (excluding bank holidays) on 01752 439492 or 01752 439743. In order to prevent unnecessary journeys we do ask that you do not attend the department without a prior appointment being made by the Bereavement Officer, as circumstances sometimes mean that all the necessary paperwork will not be available that day. The Bereavement Counseling Service (BCS) is a charity which offers specialist bereavement counseling in response to complicated grief and traumatic loss. The therapists have specialist knowledge, training and experience and work under regular professional supervision. 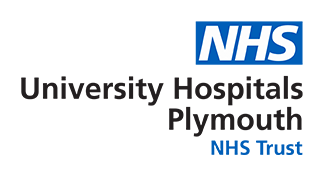 The BCS is based in Plymouth (UK) and is partially funded by the Clinical Commissioning Group which covers Plymouth and some of Devon. With fund raising support it is possible for some clients to receive their counseling without charge. Find out more about the service and how to access it on their website. MuchLoved is a charity web site where you can create a free personal tribute to your loved one, find support and grief resources, create a fundraising tribute and post a funeral details notice etc. if you wish to. Offering free and confidential one-to-one support for bereaved people, friendship support groups; training in bereavement awareness leading to recognised accreditation. CRUSE also offer a dedicated website for young people affected by bereavement which is accessible via http://www.rd4u.org.uk. Jeremiah's Journey offers support to bereaved children and their families who live in Plymouth or the immediate surrounding area. The main part of their service is to run a short term therapeutic group programme. Widows Group The Jolly Dollies are an organisation started by widows for widows whose main objective is to help widows regain a social life through friendship and organised social events. Their aim is to connect widows locally and nationally, so that The Jolly Dollies network can reach all those widows who want and deserve to have a full, happy and supportive social life. To talk to someone who is trained to listen, contact the Plymouth Samaritans.